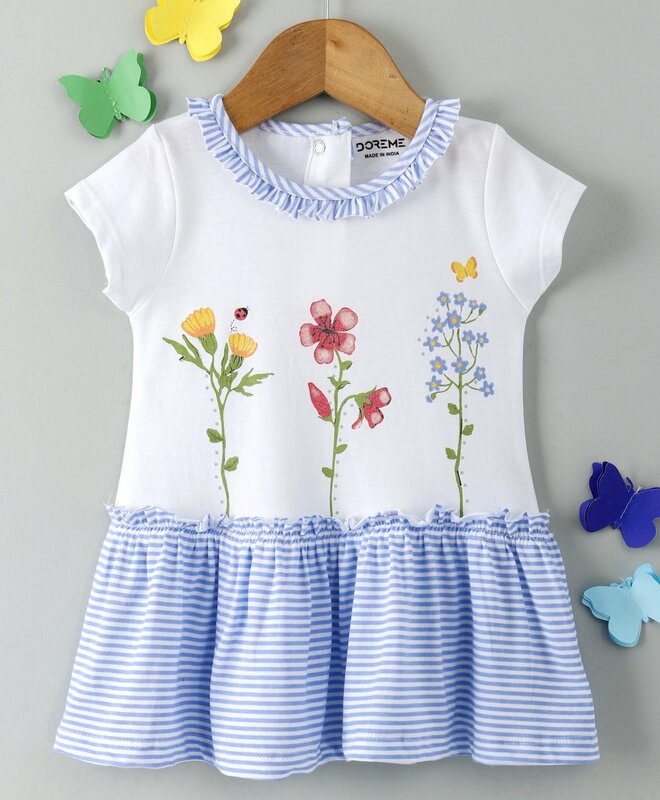 Your little angel is sure to adore this short sleeves frock from Doreme. 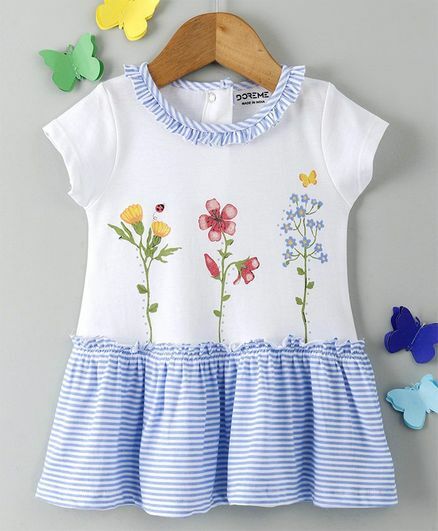 Made from soft fabric, it features round neck. This frock with back button closure provides fuss free dressing and is sure to keep your little princess at ease the whole day.